Specialty coatings are particularly important and they come in quite handy in a lot of different situations. However, what a lot of homeowners fail to take into account is the fact that this is a serious undertaking which needs to be carried out by an experienced, knowledgeable and perfectly well equipped specialist. This is something absolutely critical. While it might seem like something which could be carried out DIY-style, this is far from being true and you are doing yourself absolutely no favors by even attempting to do so. There are quite a few reasons for this and we are going to lay down just a few of the most important ones that you might want to take into proper consideration. Specialty coatings need to be applied meticulously in order to serve their overall purpose. Usually, they are going to provide the services with a splendid sealing property which is capable of bringing quite a lot of different benefits to your property. However, failing to apply it professionally can make it crack, chip and get damaged overall. This is going to cost you a significant amount of cash to fix and it’s something which is quite burdening. 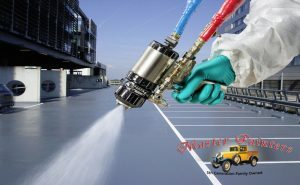 The majority of special coatings, if not all, are consisted of heavy chemical materials. Failing to employ the proper health-protecting measures is going to put you and everyone around you in jeopardy. Keep in mind that a lot of these substances are particularly toxic and they could cause quite a lot of issues when it comes to it. This is the main reason for which you need professional protective gear to carry out an undertaking of the kind on your own. Most of these coatings are impossible to be laid down by hand. This is the main reasons for which we take advantage of state of the art and contemporary equipment in order to ensure that everything is handled as per the highest industry standards. With this in mind, failing to do so is going to mean that you didn’t do a good job. Buying equipment of the kind for domestic reasons is absolutely not worth it and it’s an expense that you don’t need to make. Hiring a professional contractor such as ourselves is going to cost you substantially less. All in all, it’s unreasonable and potentially dangerous to even attempt a procedure of the kind on your own. This is going to put you in jeopardy which is absolutely unacceptable when it comes to it. Therefore, relying on a professional is the most obvious option in the situation. 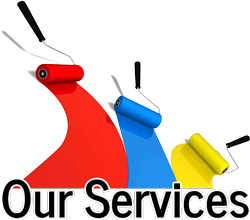 With over 50 years of experience in the field, we are a team of skilled and reliable experts who are capable of handling all kinds of undertakings of the kind. We are aimed with all the right tools and knowledge to carry out a fascinating job that would leave you more than just happy. Give us a call now and let us provide you with a quote!